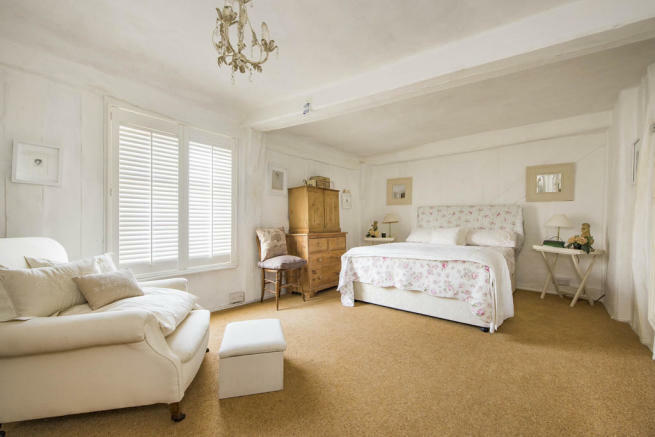 PROPERTY DESCRIPTION This outstanding period house occupies a lovely position in the village centre. 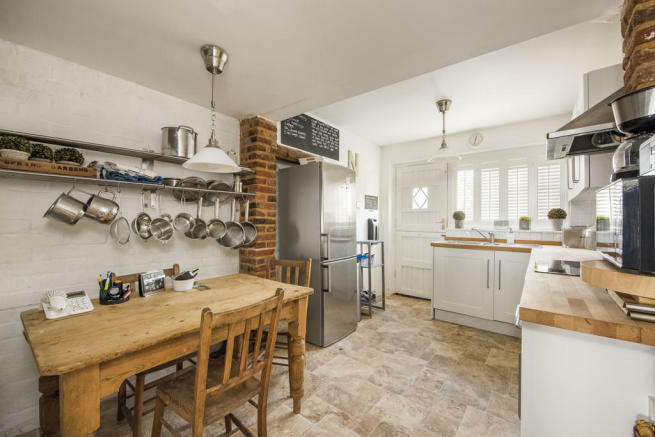 The property is ideally placed for various shops and restaurants, the post office, bus route and countryside walks. There is considerable character throughout, a charming rear garden and the property is offered with no onward chain. 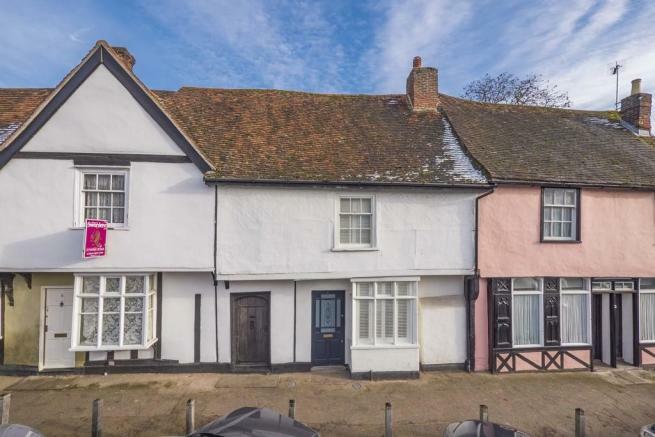 SITTING/DINING ROOM: (5.84m x 4.77m) 19'2" (into bay) x 15'8" (to back of fireplace) With a high beamed ceiling complete with moulded timbers, evidence of medieval doorways and a pretty bay window providing a view of the street scene and finished with attractive shutters. 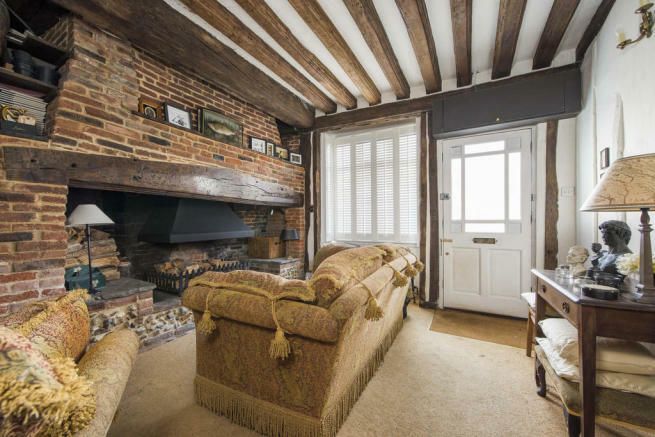 There is an impressive floor to ceiling fireplace with oak bressumer on a raised brick hearth. A clever recessed area has been utilised as a small study space. KITCHEN: (4.06m x 2.69m) 13'4" x 8'10" With a feeling of space created by the opening that links with the sitting/dining room. There are views over the garden and a stable door provides access. Exposed brickwork and range of fitted units with worktops incorporating a single drainer sink unit, vegetable drainer and mixer tap over. Integrated electric oven with four-ring hob and extractor fan over. 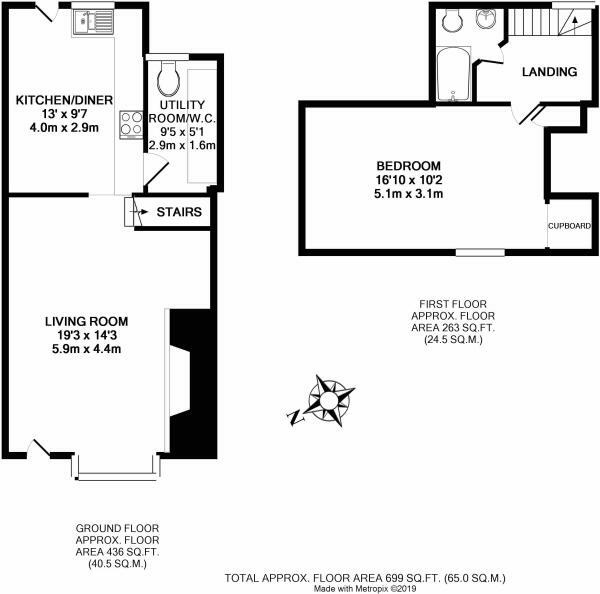 UTILITY/CLOAKROOM: (2.46m x 1.52m) 8'1" x 5'0" Wood flooring, WC, worktop inset sink unit, useful storage cupboards, plumbing for washing machine and space for tumble dryer. BEDROOM: (5.13m x 3.25m) 16'10" x 10'8" Enjoying a view of the pretty street scene below. Large walk-in wardrobe with fitted hang rail. BATHROOM: Bath with shower over. WC and wash hand basin. Outside To the front of the property is extensive unrestricted/unallocated OFF-ROAD PARKING. To the rear of the property is a lovely garden with low maintenance in mind including terracing and a useful shed to the rear. SERVICES: Main water, drainage and electricity are connected. Gas fired heating to radiators. NOTE: None of these services have been tested by the agent. AGENTS NOTE As is not uncommon with properties of this ilk, a pedestrian right of way exists for the benefit of a neighbouring property over part of the rear garden. The property is Grade II listed. As not uncommon with properties of this ilk, the property may be subject to a small flying freehold. Disclaimer - Property reference 100424014242. The information displayed about this property comprises a property advertisement. Rightmove.co.uk makes no warranty as to the accuracy or completeness of the advertisement or any linked or associated information, and Rightmove has no control over the content. This property advertisement does not constitute property particulars. 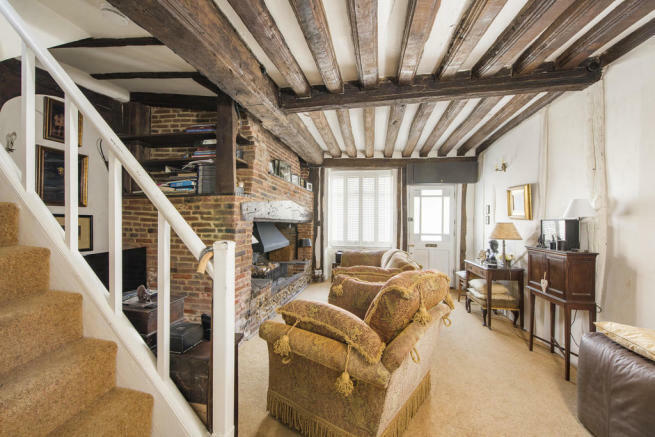 The information is provided and maintained by David Burr Estate Agents, Long Melford. Please contact the selling agent or developer directly to obtain any information which may be available under the terms of The Energy Performance of Buildings (Certificates and Inspections) (England and Wales) Regulations 2007 or the Home Report if in relation to a residential property in Scotland.